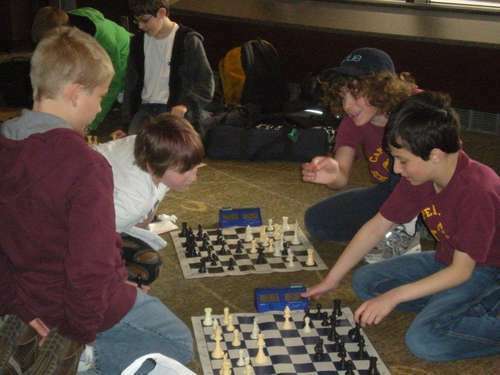 04.12.10 ChessMaine.net correspondent, Dan Fishbein, blogs from Minneapolis to give us an update on the Maine players from Cape Elizabeth and Orono competing in the National Junior High School Championships played from April 9-11, 2010. 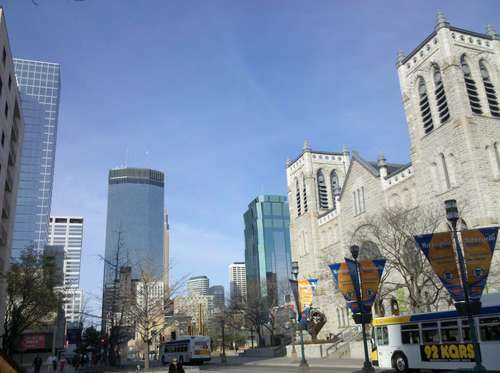 Minneapolis, April 11: A small but determined Maine contingent has spent the past few days in Minneapolis competing in the Junior High School Nationals. The delegation included two members of the Maine State Junior High Champion Cape Elizabeth Middle School team, and five members of the Orono Middle School team, who finished a close second to Cape Elizabeth at the State tournament. 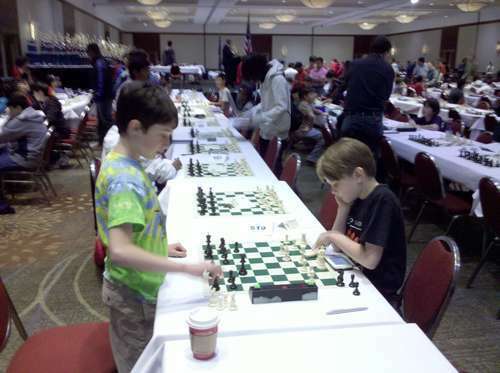 The tournament began on Thursday with two preliminary events--the National Junior High Bughouse and Blitz Championships. Cape Elizabeth's Matthew Fishbein and Matthew Reale-Hatem competed in both events. In Bughouse, they finished an impressive tied for 10th place out of 54 teams, many of whom had far more experience with this chess variant. Later that day, a grueling 12-round Blitz tournament extended late into the evening. When the dust settled, Reale-Hatem had 7 points, and Fishbein 6.5. 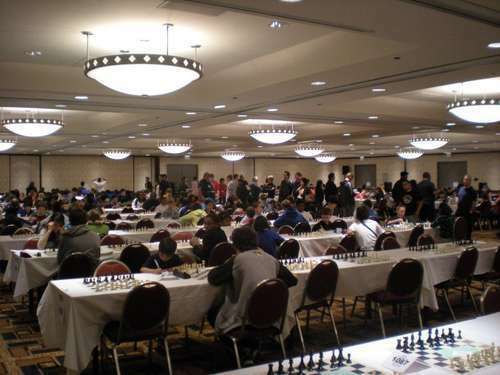 On Friday, the main tournament began. Two rounds were played that day, followed by three on Saturday and two more on Sunday. With a time control of G120, and many games lasting for two or three hours, this made for an intense schedule. The Orono team had to split into two groups, with a two-person team playing in the Unrated section, and three in the K-8 U750 section. With their outstanding performance at the State Tournament in March, Orono's group had great new ratings, but at the Nationals the ratings used were from prior to that event. Unfortunately, unrated players can only play in the Unrated section or the Championship section. In the K-9 Unrated section, Jesse Amar got off to a blazing start. 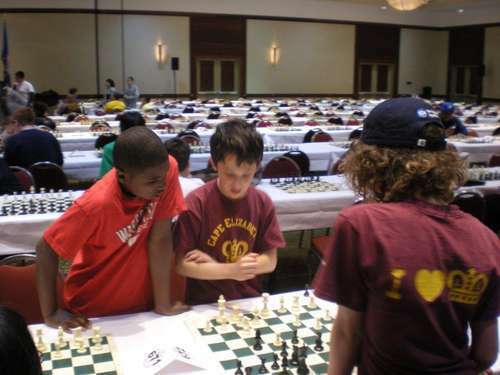 After 5 rounds, he was undefeated at 4.5, and found himself playing on Board 2 against one of the many local Minnesota kids playing in this section. After a tough match, Jesse remained at 4.5. Teammate Jacob Chubbuck finished strong with two wins and a draw in his last three rounds, to nab 3.5 points. 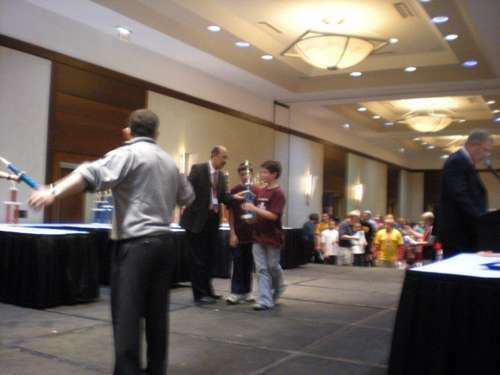 As a two-person team, Orono MS also earned the 20th place team trophy. Since the scores of up to four players count towards a team's total, it was quite an accomplishment to win a trophy with only half a team. Out of teams with only two players, Orono MS finished second. In the K-8 U750 section, Orono's Jacob Johnson and Nash Allen-Rahill each finished with 3 points, and Calem Hamilton added a point to the team's total, in their first national event. 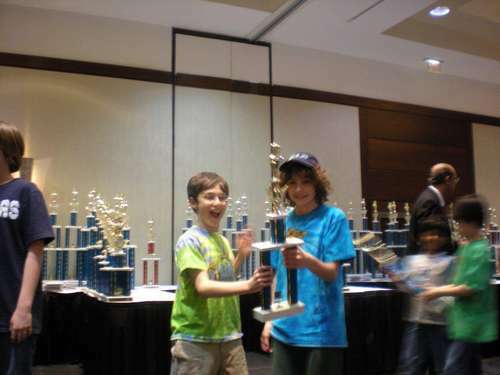 In the K-8 Championship section, the Cape Elizabeth duo faced a very strong field of 208 that included eight players rated over 2000. After a series of ups and downs, both Matthew Fishbein and Matthew Reale-Hatem finished the tournament with 4.5 points each in 7 rounds. That placed both tied for 29th. 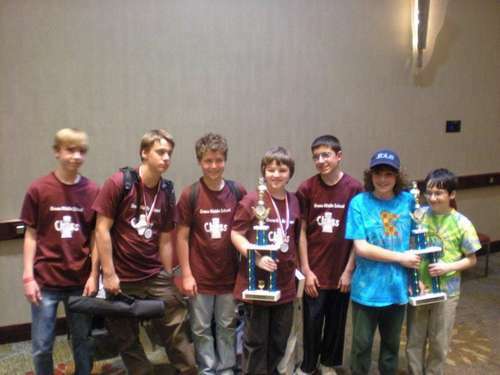 In the team competition, Cape Elizabeth, like Orono's unrated team, finished with the 20th place trophy, with only half a team, and they finished third out of 18 teams with less than four players. For our family, this was the first trip to this tournament, as we have gone to three Elementary Nationals and last year's combined SuperNationals. 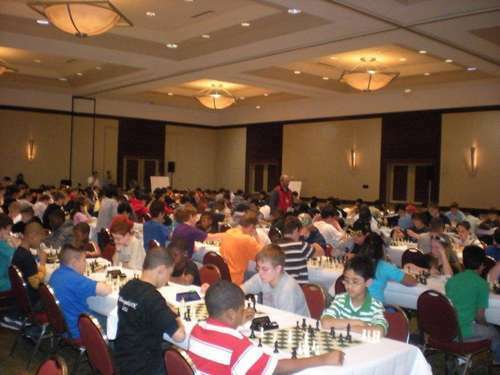 This tournament is smaller than those events, if you can consider 940 kids smaller. However, despite its size, the tournament has the same feel as the other Nationals, complete with enthusiastic teams from all over the country. The competition is spirited, but with great sportsmanship. The best part as a parent is watching the kids make new friends and get reacquainted with old ones from all over the country, and across a great span of diverse backgrounds. 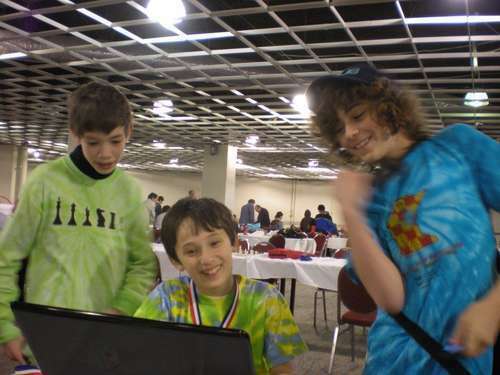 For example, our son Matthew and his friend Matthew spent much of the weekend analyzing games and playing with a friend from Rochester, New York who we met at a tournament last summer in Philadelphia. Matthew has been chatting away before every round with a pal from Illinois he played many skittles games with at a tournament two years ago in Sturbridge, Mass, and we keep running into a big family of chess players we know from the Boston area. Both Matthews have played skittles with new friends between rounds, especially with kids they've met from here in Minnesota, and part of the large contingent from neighboring Wisconsin. The Maine contingent, which included 7 players, Orono coach Ryan Tripp and four parents, truly experienced a national event. They played against other students from Arkansas, California, Florida, Hawaii, Illinois, Indiana, Michigan, Minnesota, Missouri, North Carolina, Ohio, New York, Pennsylvania, Texas, Washington, and Wisconsin. 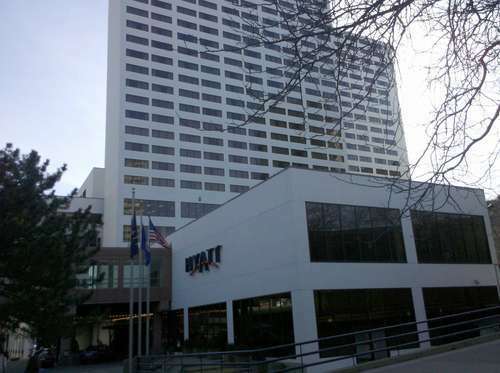 And as a final bit of excitement, matching last year's Tornado Warning and evacuation into the sub-basements at the SuperNationals in Nashville, the final evening after the Awards Ceremony featured a fire in the hotel. Nothing big, but enough to create some drama. All will head home now, with some great memories, and dreams of even bigger achievements in the future. Jesse Amar (Orono) W Jordan Hubbard, MN; W Tristan Reep, MN; W Nicholas Harris, MN; Ethan Meitz, MN; Jonathan Coffin, MN; L Franklin Zhou, MN; L Cheng Xiong, MN: 4.5 points, 23rd place. 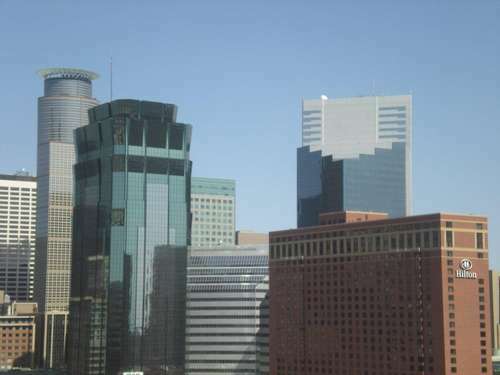 Jacob Chubbuck (OR) L Sebastian Falk, MN; W Alexander Fanner MN; L Rowena Zhang MN; L Ben Jensen, MN; W Cecelia Tackett, MO; D Christina Neiva, PA; W Kevin Harris, MN: 3.5 points, tied for 57th, 72nd on tiebreaks. Team: 20th place, and 2nd among two-person teams. 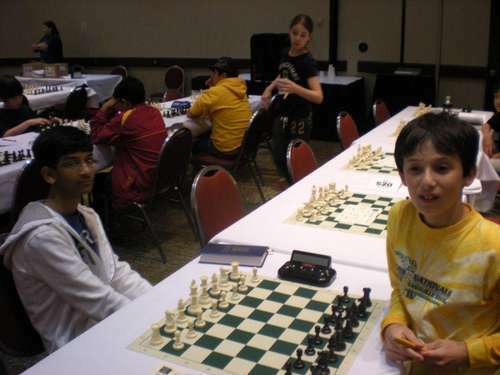 Jacob Johnson (Orono) W Kiera Nettles MI; Kushagr Sharma, MN; W Daniel Ramirez, TX; L Gabriel Flores, TX; L Felipe Rego, FL; W Shamari Kelly, MI; L Alec Cancio, FL: 3.0 points, tied for 94th, 97th on tiebreaks. Nash Allen-Rahill (Orono) L Christopher Echols, MI; L Jonathan Knight, MN; D Jared Cooper, TX; L David Timm, WI; W Christopher Ingham, FL; W Michael Samayoa, FL; D Naisha Bepar, WI: 3.0 points, tied for 94th, 110th on tiebreaks. Calem Hamilton (Orono) L Luke Haddorff, MN; L Thomas Eickelberg, MN; W Amie Li, WI; L Jack Hanson, MN; L Elisabeth Robles, CA; L Sahil Chugani, MN; L Scott Totoram, NY: 1.0 points, tied for 163rd, 164th on tiebreaks. Matthew Reale-Hatem prepares to play Round 6. Matthew Fishbein and friend Bryce from Illinois sneak in a skittles match before their Round 6 opponents arrive. Matthew Fishbein (right) prepares to play his fourth-round opponent Aleem Awan from New York. 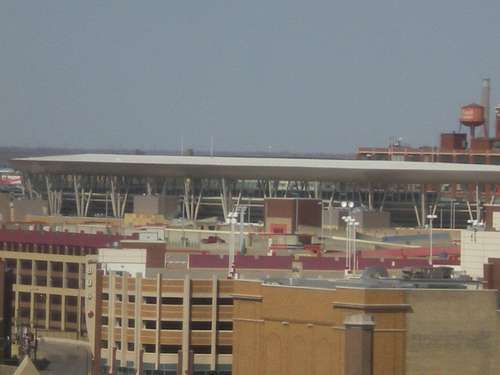 The brand new Target Field, which opened Monday, as the tournament ended...against the Red Sox! The upstairs playing hall, site of K-9 Unrated and K-8 U 750 sections--where both Orono teams played. Using Fritz to analyze a game (right to left): Matthew Reale-Hatem, Matthew Fishbein and friend Dan from Rochester, New York. 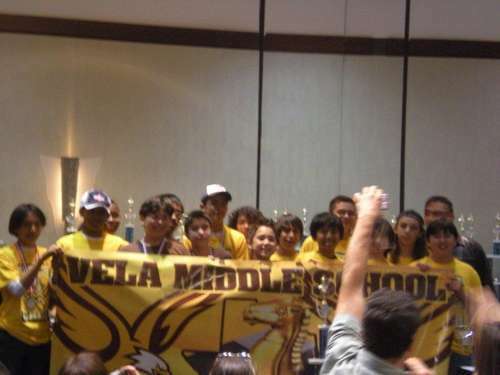 K-8 Team National Champions Vela Middle School of Brownsville, Texas at the awards ceremony. Congratulations to all the Maine players and thanks to Dan Fishbein for submitting such an outstanding report.